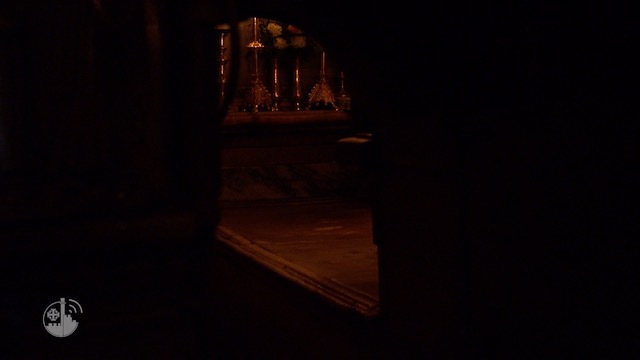 home / Multimedia / The Holy Land in news / A lesson with the Arab Institute of Bethlehem: “It’s not ..
“I’m rediscovering much of my faith and of the faith of my Christian friends. When you do not know the other, you are guided by stereotypes and distrust … It takes so little to change”, says Mohammed at the end of the lecture held at the Greek Catholic School in Beit Sahour. 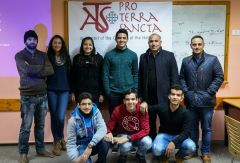 There are about twenty teens all over, accompanied by the educators of the Arab Educational Institute-Open Windows, a local NGO in Bethlehem, in partnership with the Association pro Terra Sancta. There are boys and girls, Christians and Muslims, two communities that have always lived in Palestine, sharing quarters, customs, times of peace and conflict, but rarely have had opportunities to know each other closely. Through meetings with trainers of both faiths, group works, visits to different local realities and eyewitness accounts, “the project”, as Roger, one of the managers says, “wants to encourage young people to build bridges between communities and weave the plot of a constructive coexistence”. “It’s not enough to simply tolerate each other. To respect others is not only to not interfere. It also means an interest, to get to know and appreciate each other”. Among the participants we also speak with Hala, a 16 year old Christian girl. “It is a unique opportunity for us, we have no way in school to study and learn about what unites us and what makes us unique as individual communities”, she says smiling. Support our activities with kids in Bethlehem!